This Leslie speaker is Specifically designed for Hammond organs, the Leslie 122 series is recommended for larger organs whose pedal range extends down to the lower frequencies. The sound is "separated" with the highs reproduced by the spinning horn rotor and the lows coming from the bass rotor. The rotors on the Model 122 series can be operated. The Leslie 147 is Identical to the Model 145 except the cabinet is 8 inches taller. The Model 147RV contains all the same components of the Leslie Model 147, plus a a reverb generator and independent reverb channel. 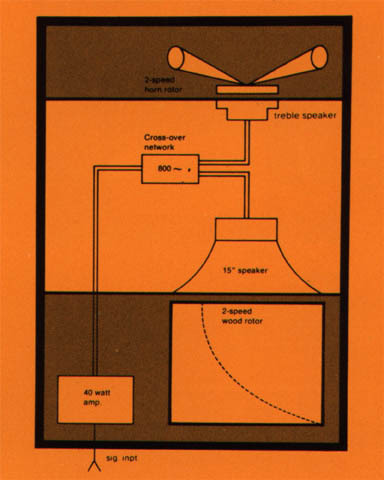 This reverb system utilizes a separate amplifier and stationary speaker. 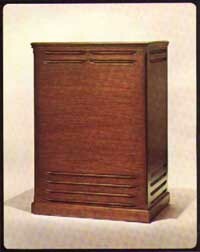 The Leslie Model 145 is the same as Model 147 except the cabinet is 8 inches shorter. The Leslie 142 is identical to Model 145 but with the Model 122 amplifier. Leslie Speaker 122/122RV Owners Manual - We have scanned in the original owners manual for people who need or desire to read it. 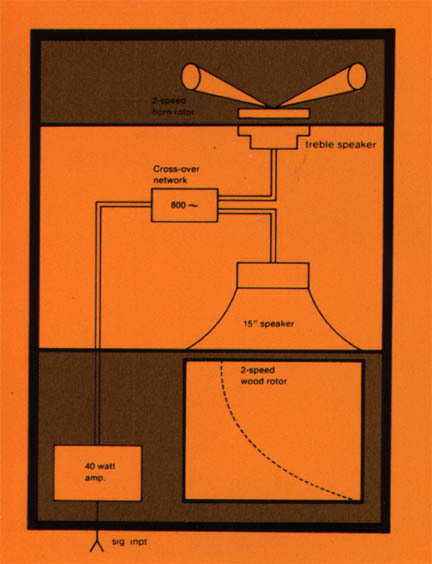 Leslie Speaker Model 145, 147/147RV, 247/247RV Owners Manual - We have scanned in the original owners manual for people who need or desire to read it. Leslie Speaker Patent Papers - Scanned copy of the Leslie Speaker Patent for your reading. Leslie Speaker Registration Card - Here you can find a scanned copy of the Leslie Speaker Registration Card nostalgic purposes.